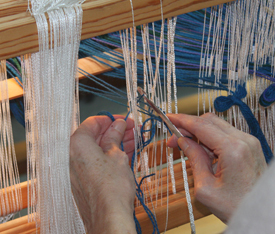 Rosepath Weaving creates hand woven textiles for the home and public spaces that are a pleasure to see, touch and use. Products are available to purchase or simply view at various Boston area events. 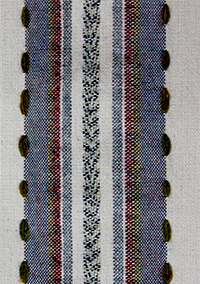 Everything is woven, start to finish, by the single weaver who employs time honored techniques, and uses a computer only for design. Weaving was my hobby for over thirty years while I was a computer software engineer. In 2001 I left technology to weave full time. I'm largely a self-taught weaver. All kinds of weaves in natural fibers interest me. 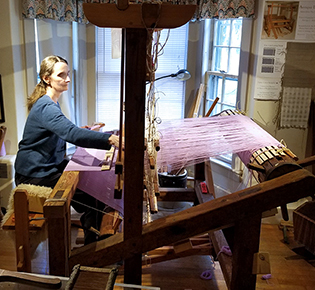 I've been inspired by workshops at Marshfield School of Weaving to study and weave historic textiles.